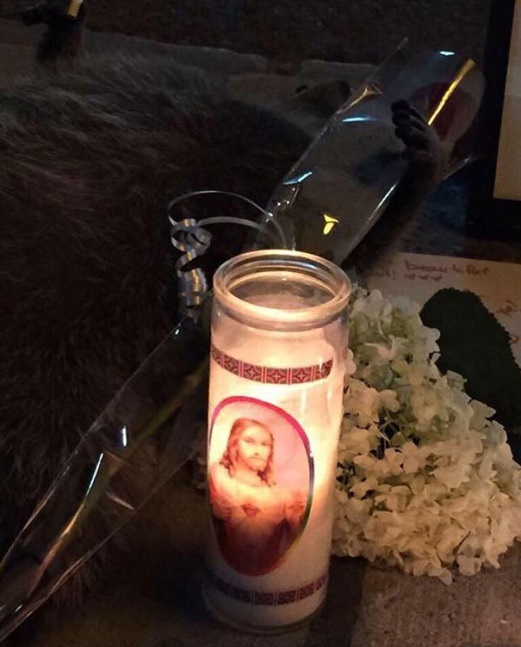 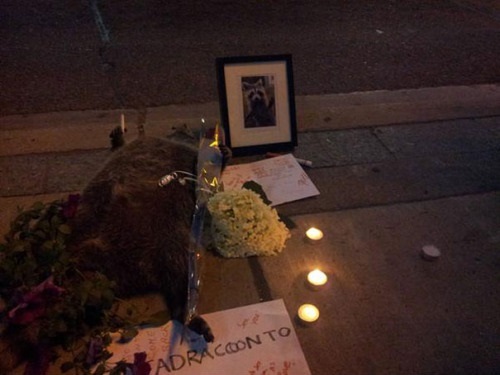 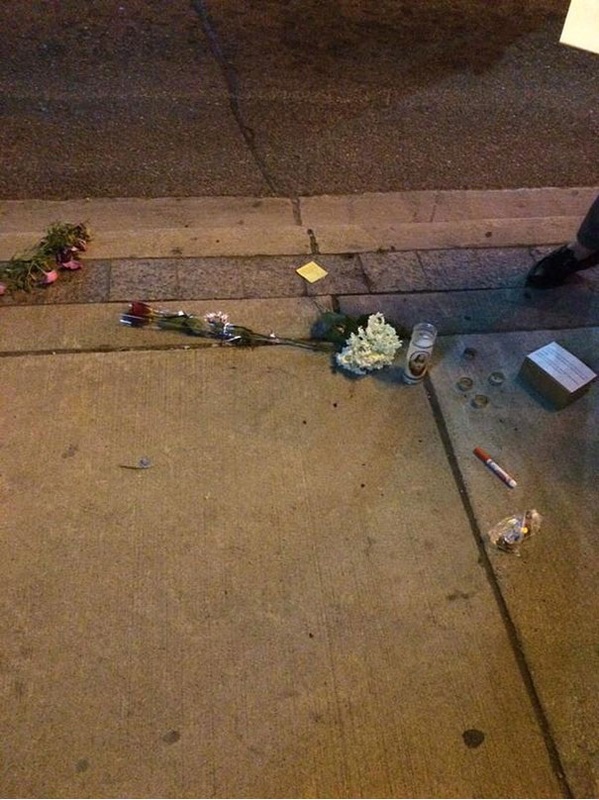 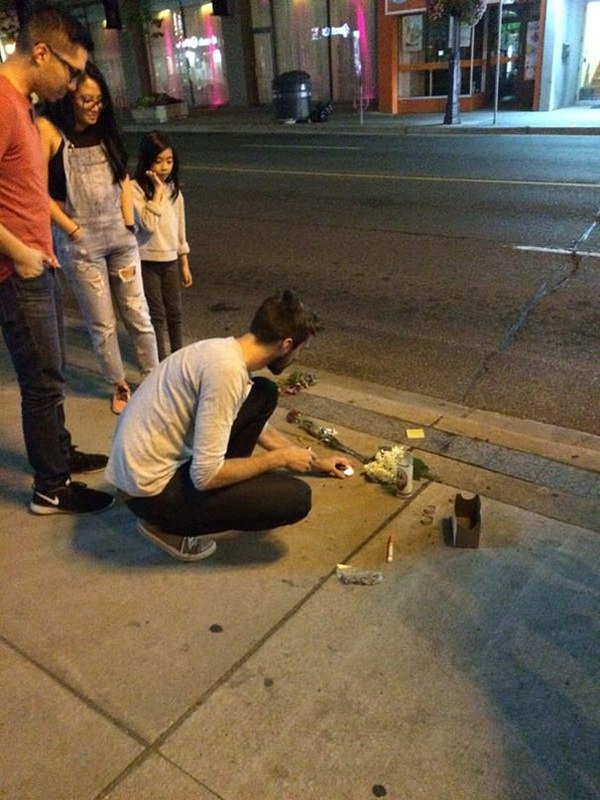 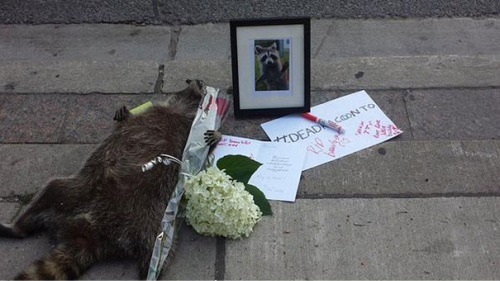 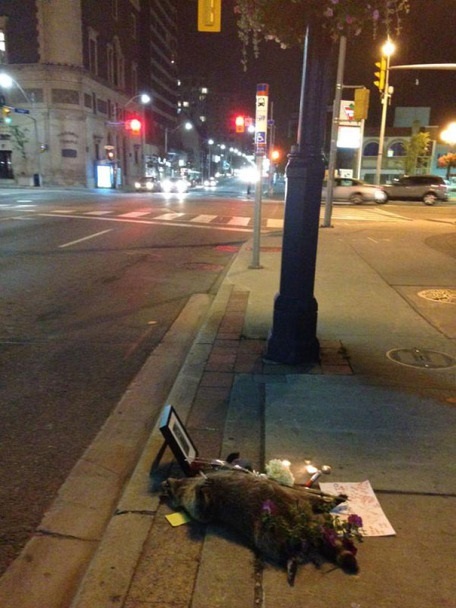 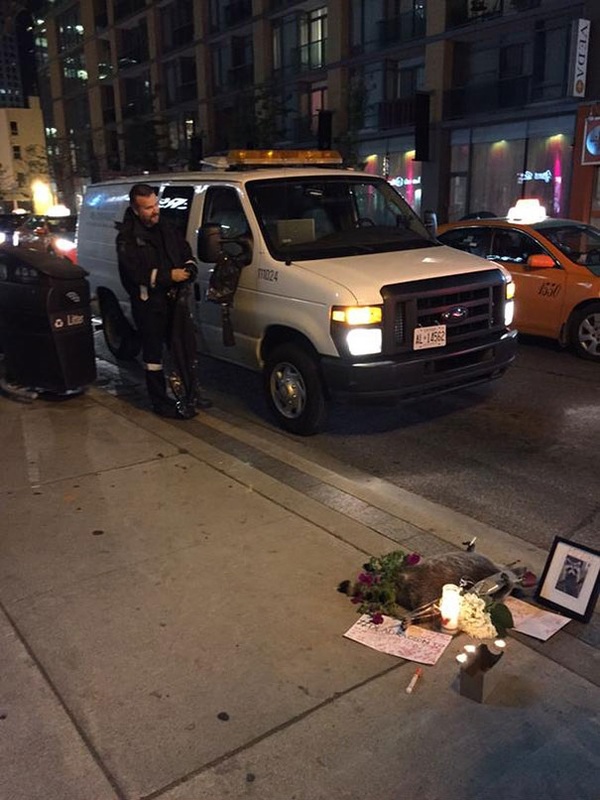 A dead raccoon on a busy Toronto street has sparked a memorial and thousands of tweets. 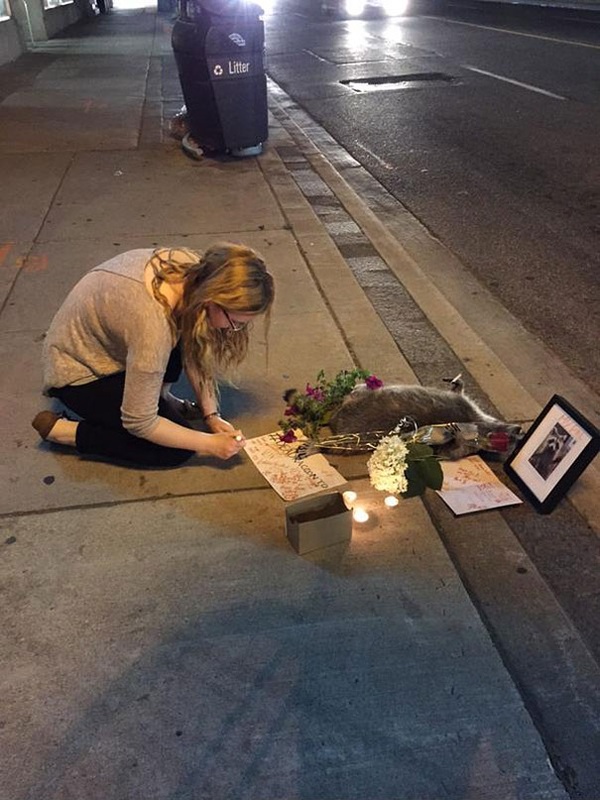 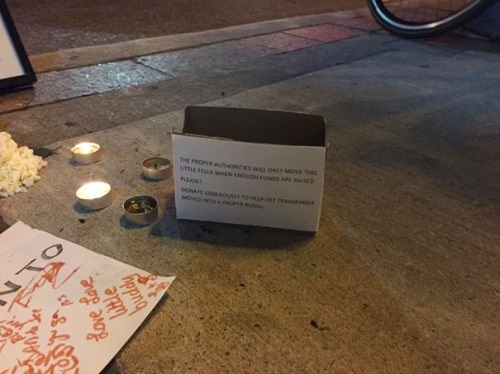 The deceased animal lay helpless on the sidewalk at Yonge Street and Church Street after Toronto Animal Services neglected to pick it up, but someone took it upon themselves to show the city creature some respect as it met the afterlife. 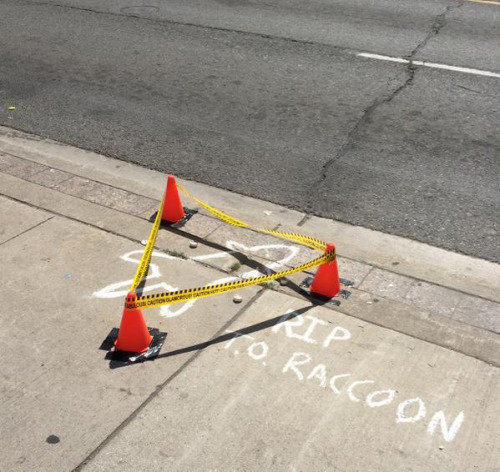 It began Thursday morning when a lone raccoon was found belly-up on the sidewalk. 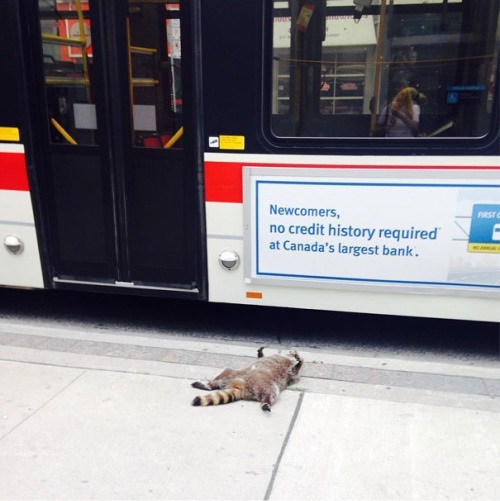 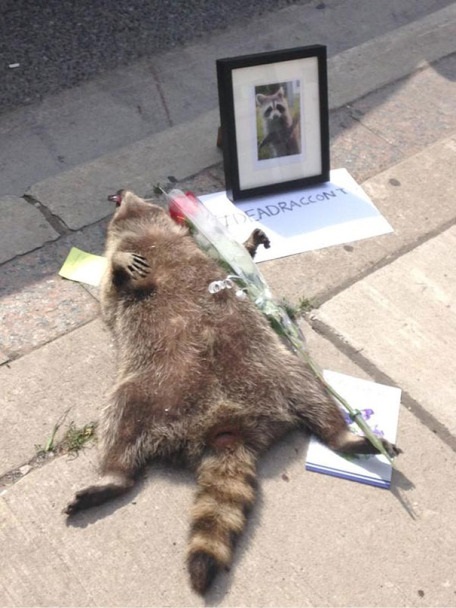 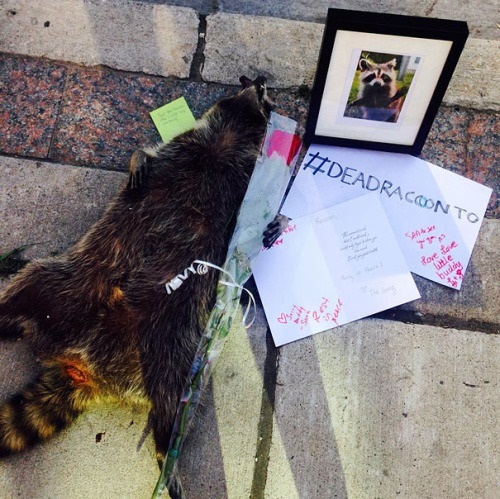 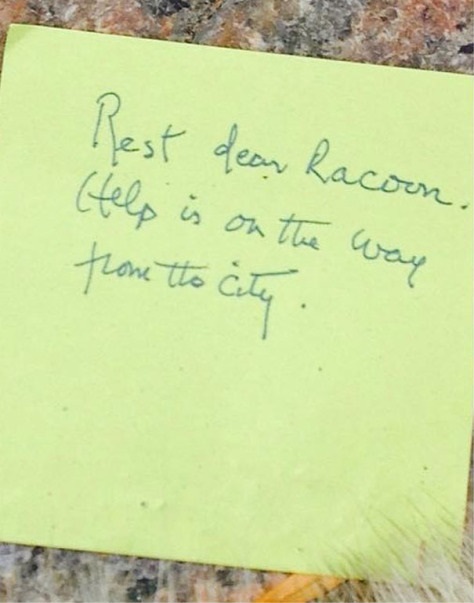 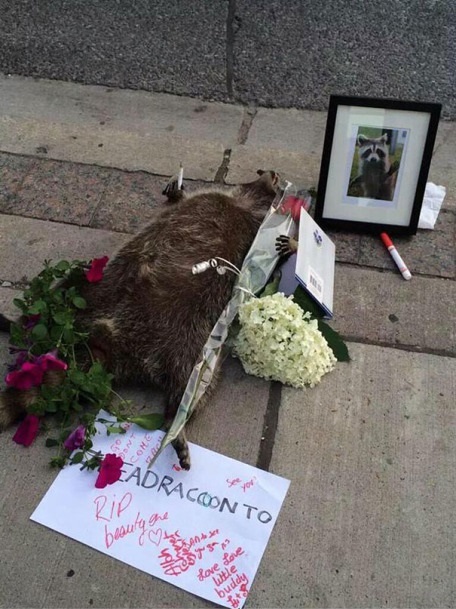 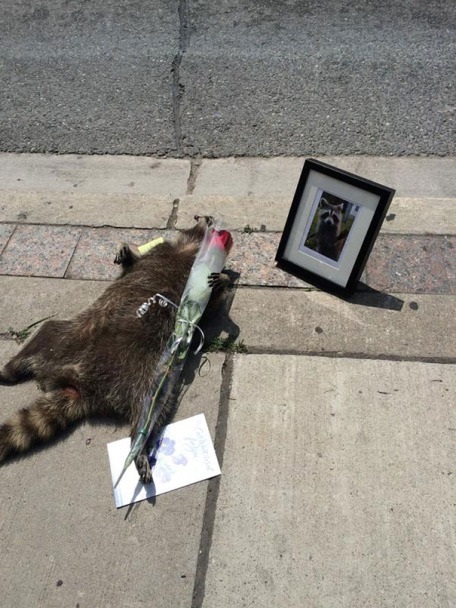 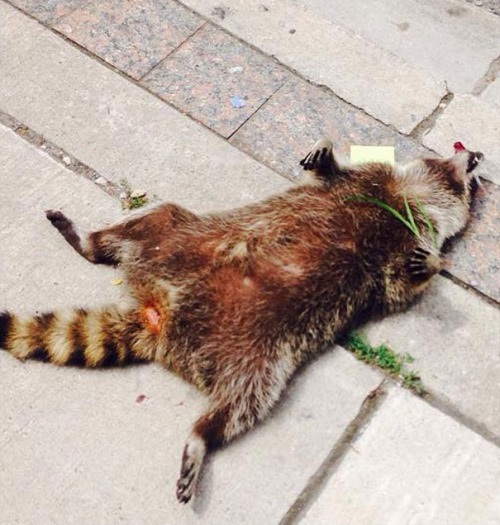 0 responses to "How one dead raccoon captured the hearts of Toronto (17 Pics)"